Diabetics beware: when it comes to the worship of baked goods, not much can compare to the delerious fervor of Anpanman, Japan's favorite carbohydrate son. Instead of deriving power from the sun, Anpanman gains his Superman-like strength from using his noggin...of course, it helps if your head is a giant Japanese bun filled with red bean. The hero also has a heart of gold, naturally: if the lads and lasses he saves are hungry, he doesn't think twice about offering bits of his head for sustenance, though ripping off pieces of his head weakens his strength considerably (not even Japanese ingenuity has figured a way around that one). 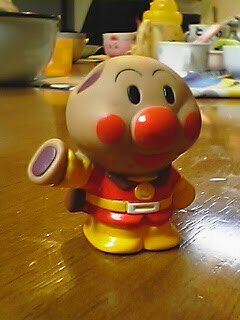 Don't fret: Uncle Jam can bake a new head for Anpanman, post haste. 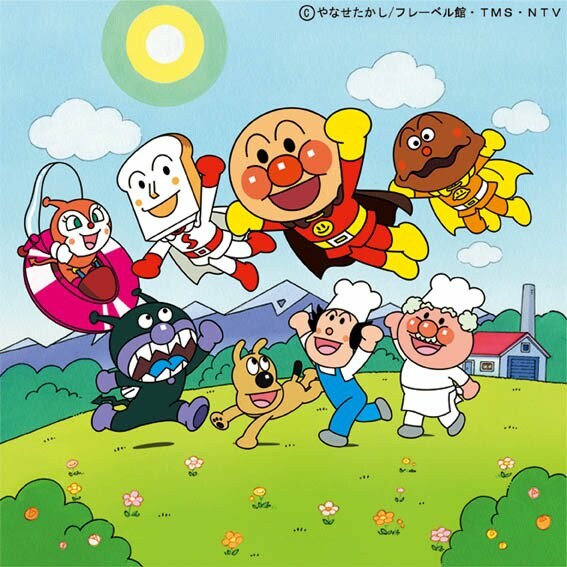 There's Currypanman, who pretty much has the same powers as Anpanman. I've never seen him offer up bits of his own head for the greater good, but his head is FILLED WITH CURRY THAT HE SQUIRTS OUT WHEN ATTACKED. Mindblowing. Every artform needs a touch of narcissism. Shokupanman might spend his days serving lunch to schoolchildren, but he brings sass to the group, despite being white bread (literally). My 2 year-old daughter loves Anpanman. Where can you get that doll? She'll go crazy for it! Sorry Anon - Anpanman toys are hard to come by in the GVRD, and I don't think I've ever seen one in person where he's pulling off bits of his Anpanhead.